The first historical heroic epic authored by a woman, Scanderbeide recounts the exploits of fifteenth-century Albanian warrior-prince George Scanderbeg and his war of resistance against the Ottoman sultanate. Filled with scenes of intense and suspenseful battles contrasted with romantic episodes, Scanderbeide combines the action and fantasy characteristic of the genre with analysis of its characters’ motivations. In selecting a military campaign as her material and epic poetry as her medium, Margherita Sarrocchi (1560?–1617) not only engages in the masculine subjects of political conflict and warfare but also tackles a genre that was, until that point, the sole purview of men. 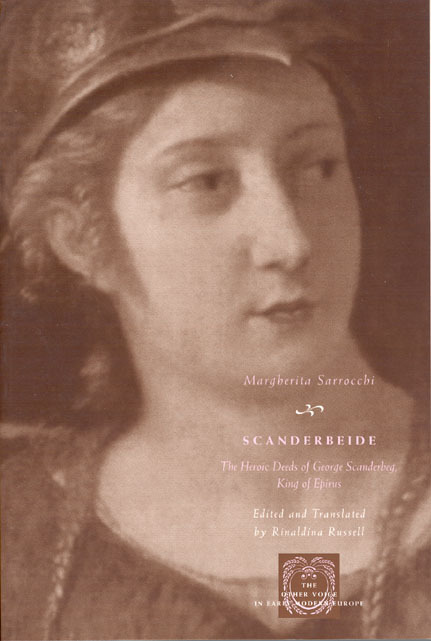 First published posthumously in 1623, Scanderbeide reemerges here in an adroit English prose translation that maintains the suspense of the original text and gives ample context to its rich cultural implications.